Huntington Hospital anuncio el martes un regalo de $5 millones de la Fundación AS&F, que cerrará sus puertas en 2018 después de 67 años de existencia y 30 años de asociación con el centro médico de Pasadena. Los fideicomisarios de la fundación seleccionaron el hospital de 619 camas sin fines de lucro como una de las 12 organizaciones para recibir subvenciones finales. “Después de mucha deliberación, nuestra junta directiva decidió abandonar la fundación, desembolsando sus fondos en forma de obsequios significativos a las organizaciones con las que hemos trabajado y que sabemos que serán buenos administradores de los fondos”, dijo el presidente de la Fundación AS&F, John Llewellyn. “La fundación seleccionó a Huntington Hospital porque es una verdadera joya de la salud en el valle de San Gabriel. Originalmente conocida como la Fundación Forest Lawn, AS&F fue fundada en 1951 por Hubert Eaton, creador del concepto del parque conmemorativo y desarrollador de los Parques y Mortuorias de Forest Lawn. En los últimos años, la fundación ha centrado su filantropía en los programas de acampada residencial. También ha brindado apoyo a otras organizaciones, incluido Huntington Hospital. “Nos sentimos honrados y humildes por este regalo inmensamente generoso de la Fundación AS&F”, dijo Jane Haderlein, vicepresidente sénior de filantropía y relaciones públicas del Hospital Huntington. “Los fondos ayudarán al hospital a continuar brindando el más alto nivel de atención para nuestra región. A lo largo de los años, hemos confiado en el apoyo anual de la fundación para ayudarnos a crecer en la institución de clase mundial que somos hoy en día. Se los extrañará mucho. (CNS) – A Pasadena man was sentenced Monday to 10 years in state prison for a drunken crash that killed an infant on the Pasadena (110) Freeway in Elysian Park last November. Jared Hale Lynch Silvestri, 27, pleaded guilty Aug. 25 to one count each of gross vehicular manslaughter while intoxicated and driving with a 0.08 percent blood-alcohol content causing injury, according to Ricardo Santiago of the Los Angeles County District Attorney’s Office. Silvestri crashed his VW Jetta full-speed into a Chrysler pulled over to the shoulder of the freeway near Stadium Way last Nov. 5. Melanie Brown — a nearly 3-month-old baby who was in the Chrysler along with her grandmother and a 9-year-old girl — died about three hours later at a hospital. Brown’s grandmother was also injured, and the 9-year-old girl suffered minor injuries, according to the District Attorney’s Office. Silvestri was arrested that night by the California Highway Patrol and has remained behind bars since then, according to jail records. Former professional boxer and boxing promoter Oscar De La Hoya was arrested Wednesday on suspicion of drunken driving in Pasadena, authorities said. De La Hoya, 43, was pulled over about 2 a.m. on Del Mar Boulevard west of Saint John Avenue, the California Highway Patrol reported. De La Hoya was instructed to get out of the SUV, where the investigating officer “continued to detect an odor of an alcoholic beverage emitting from the driver’s breath and person,” according to the CHP. After being given a series of field sobriety tests that he allegedly failed, De La Hoya was arrested on suspicion of driving under the influence of alcohol and released to his manager, the CHP reported. De La Hoya won several world titles in six different weight classes before his retirement. In case you haven’t heard, Angelenos — and the world for that matter — will have to wait an extra day to enjoy two of the Southland’s favorite New Year traditions: the Tournament Roses® Parade and the Rose Bowl Game. The two long-standing fan favorite holiday events will be held on Jan. 2 because New Year’s Day falls on Sunday, activating the Tournament’s “Never on Sunday” tradition in place since 1893, the first year since the beginning of the Tournament that New Year’s Day fell on a Sunday. Organizers of the event that year wanted to avoid frightening horses that would be hitched outside churches and interfering with worship services so the parade was moved to the next day, Jan. 2. Though horses are no longer outside local churches, the tradition remains to this day. 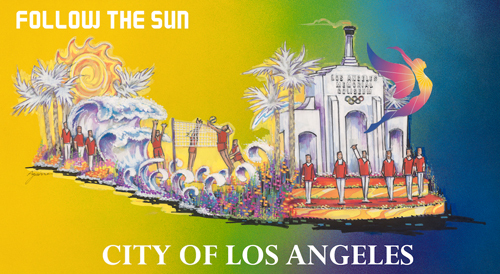 Rendering of the City of Los Angeles’ entry into the 2017 Tournament Roses® Parade. Kicking off the day will be the century-plus Rose Parade at 8 a.m.
As usual, gracing one of the dozens of floats making their way down Colorado Boulevard will be the Tournament of Roses Royal Court, including Rose Queen Victoria Cecilia Castellanos, a senior at Temple City High School who lives in Temple City and volunteers with the Pasadena Humane Society and the American Legion in Eagle Rock, and six Rose Princesses: Audrey Mariam Cameron, Blair High School; Maya Kawaguchi Khan, Arcadia High School; Shannon Tracy Larsuel, Mayfield Senior School; Autumn Marie Lundy, Polytechnic School; Natalie Rose Petrosian, La Cañada High School; and Lauren ‘Emi’ Emiko Powers, Arcadia High School. The 2017 Grand Marshals for the parade are three five-time Olympic medalists: Allyson Felix, Janet Evans and Greg Louganis. And since the Rose Bowl Game always follows the parade, the dual between the No. 5 CFP-ranked Penn State Nittany Lions, Champion of the Big Ten Conference, and the No. 9 CFP-ranked USC Trojans has also been moved to I p.m. Monday. The public can get a close up look at all the colorful floats following the parade. They will parked along Sierra Madre and Washington boulevards from 1p.m. Monday until 4p.m. Tuesday, Jan. 3. 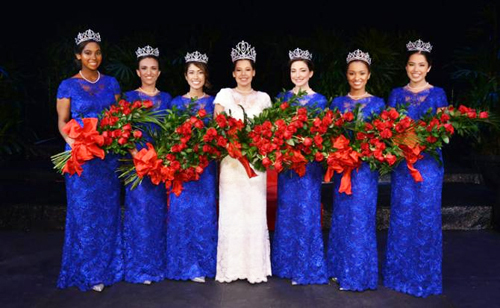 For more information on all of the events and festivities, visit www.tournamentofroses.com/events. The Arroyo Seco Parkway or State Route 110 is hailed as the first freeway of the west and a vital artery that connects Los Angeles to Pasadena. Despite being seen as an engineering feat in the 1940’s, today its design is considered outdated, and to many, a winding series of safety hazards. “We have to understand that when it was built, cars were not going that fast. Old Model T’s would usually get up to 30 mph at the max,” said Los Angeles Councilman Gil Cedillo, who represents some of the communities adjacent to Arroyo Seco Parkway. The safety concerns experienced today can be seen at hairpin exits like the one at Avenue 43, which inspired a group of local residents to start a petition drive in December 2014 to urge Senate Pro Tem Kevin De Leòn to secure state funding for Caltrans — the state agency charged with maintaining freeways and highways — to make improvements and add more exits to the parkway to make it safer. “I know there are concerns about it and heard about it at different meetings,” acknowledges Cedillo, who adds that management of the parkway is not the city of Los Angeles’ responsibility, but the state’s. “I’ve taken these concerns to the senator [Kevin de Leon] who is very powerful and can have an impact and influence on those matters.” Cedillo told EGP. There has been some action by Caltrans to make the Arroyo Seco Parkway a safer place to drive. In 2012, Caltrans released the Arroyo Seco Corridor Partnership Plan, which among other things included the goal of preserving the parkway’s historical value and usefulness to the surrounding communities while making it safer. He points out, however, that design changes alone to make the Arroyo Seco Parkway more suited to handle modern day traffic will not make the parkway accident free; motorists also need to take it upon themselves to be safe. “Driving a two-ton vehicle is inherently dangerous. That’s why there’s rules and regulations like seatbelts and not driving under the influence,” Cedillo said. The councilman recommends people try to drive less in rainy weather and not rely so heavily on cellphone and navigation apps to get them where they are going. “We have bad cultural practices in our community that makes us lazier and we need to exercise more self help and responsibility,” he said. He noted that many accidents can be attributed to “poor decision making” by motorists and pedestrians, and cited crossing the street in the middle of the block instead of at a crosswalk that might just be a few feet away, or texting or talking on a cellphone while driving as examples of bad behavior. So while many of the problems experienced on the Arroyo Seco Parkway can be blamed on its outdated design, which many residents argue must change, the effort to make the Arroyo Seco Parkway a safer place for everyone will require cooperation from both residents, the city, and the state to make a real difference. El partido de fútbol de la Copa CONCACAF del sábado entre EE.UU. y México en el Rose Bowl está agotado, con una multitud de más de 90,000 personas, anunciaron los organizadores el lunes. “Este es uno de los mayores partidos de fútbol que se jugará en suelo norteamericano desde la Copa Mundial de 1994 y los aficionados sin duda han respondido”, dijo Ted Howard, secretario general de la CONCACAF. Los aficionados solicitaron en línea por el derecho de adquirir entradas a través de un sistema de lotería. Un proceso suplementario reñido se celebró para los grupos partidarios de EE.UU. y equipos mexicanos. Aficionados mexicanos han tradicionalmente superado en número a sus contrapartes estadounidenses en los juegos entre los equipos del sur de California. “Uno de nuestros objetivos para este juego era hacer que el Rose Bowl fuera una representación de ambas bases de fans apasionados”, dijo Howard. “El interés y la demanda para un evento de esta magnitud requiere de un proceso que permite la oportunidad de una distribución justa y equitativa de boletos”. El destacado delantero mexicano Giovani dos Santos se perderá el juego debido a una distensión muscular que sufrió durante el empate de 1-1 entre el Galaxy de Los Ángeles y el Seattle Sounders FC en un partido de la MLS el domingo, dijo un funcionario del Galaxy el lunes. Los organizadores están alentando a los aficionados llegar temprano y si es posible en autos compartidos. El estacionamiento para vehículos con cuatro o más pasajeros será de $25. El estacionamiento general es de $40. Los estacionamientos se abrirán a las 2pm. Un festival de aficionados se llevará a cabo en el campo de golf Brookside Golf Course con música, comida, sesiones de autógrafos de leyendas del fútbol a partir de las 2pm. El servicio de autobús ‘shuttle’ se extenderá desde el edificio Parsons Engineering en Old Town Pasadena al estadio. Habrá puntos de revisión de boletos para todos los vehículos que entran a los estacionamientos del Rose Bowl el sábado. Quienes no tengan boleto no se les permitirá entrar a la zona del estadio. El ganador será el representante de la CONCACAF en la Copa Confederaciones de la FIFA 2017, un torneo que se juega cada cuatro años en el año previo a la Copa Mundial en el país anfitrión de la Copa Mundial. El campo de ocho equipos en la Copa Confederaciones consiste en el campeón de cada una de las seis federaciones regionales de la FIFA, el actual campeón de la Copa del Mundo y el país anfitrión, que en 2017 será Rusia. En abril de 2013, la Confederación de Fútbol de Norte, Centroamérica y el Caribe, organismo rector del fútbol de la región, anunció la división en la Copa Confederaciones entre dos ediciones de la Copa Oro de la CONCACAF, asegurando que ambas ediciones del campeonato de la región nacional por equipos en cada ciclo de cuatro años tiene la misma importancia desde el punto de vista competitivo. East Los Angeles residents fear they will once again be forced to bare the brunt of efforts to relieve traffic in the region. They remember all too well the disruption to businesses and residents extending the Gold Line east caused in their neighborhood. 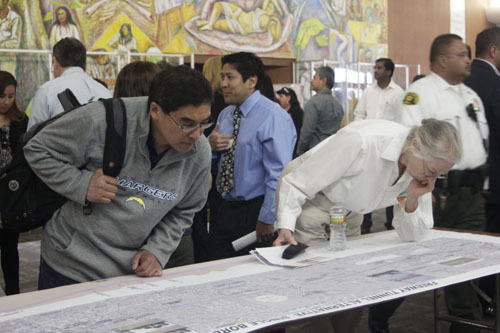 Those concerns were expressed Saturday during a public hearing at East Los Angeles College hosted by Metro and Caltrans to get feedback on the State Route 710 Study. While a majority of people who spoke at the hearing appeared to support a freeway tunnel option, several eastside residents said support in other cities for a light rail train through their neighborhood has them worried. More vocal communities along the route are getting all the attention, they complained. In March, Metro and Caltrans released a Draft Environmental Impact Report/Environmental Impact Statement (EIR/EIS), which outlined five alternatives for closing the gap between the 710 and 210 freeways. The options include a traffic management system, a rapid bus line, a light rail, a freeway tunnel and the required “no build” option. About 100 people from Pasadena, South Pasadena, Alhambra, Monterey Park, El Sereno and East Los Angeles attended the hearing. Many speakers supported the option to build a 2-way, 6.3 mile tunnel from Valley Boulevard in Alhambra to the connection with the 210/134 freeways in Pasadena. The double decker option would have two lanes traveling in each direction and would run for 4.2 miles of bored tunnel. Vehicles carrying flammable or hazardous materials will be prohibited in the tunnel. Several eastside residents claimed they “were left out of the conversation,” referring to the decision to include the Light Rail Train (LRT) alternative. They pointed out that some of the businesses hurt by construction of the Gold Line Eastside Extension in 2009 never recovered. A light rail will destroy “one of the nicest corridors” and the East LA Civic Center on Third and Mednik Streets, they complained. 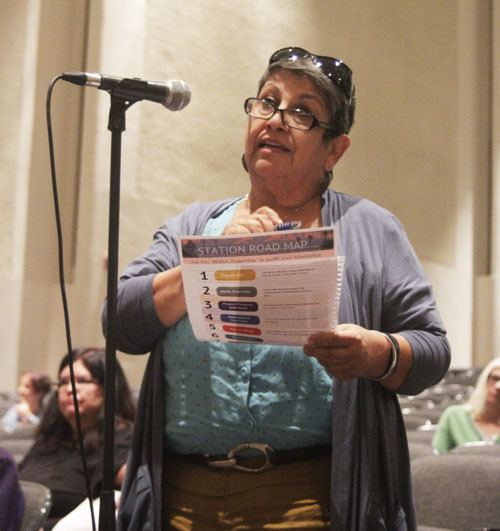 “We do not need the rail,” Martha Hernandez told Metro. “We can get to Pasadena on the Gold Line,” she said, adding that eastside residents can already get to Cal State LA by taking Metro’s Silver Line. There is also an express shuttle from ELACC. Liz Sanchez lives one block from Mednik Street where a station could be built if a light rail is chosen. She told EGP a train would add to parking problems in her neighborhood because there’s no plan to provide public parking for rail passengers. “I have a disability and even now it is hard to find parking… I don’t want to be selfish, but this is not a good option,” she lamented. Clara Solis asked Metro and Caltrans to explain why East LA residents should bare the burden of other cities’ transportation problems. “Fifteen of our precious businesses that are walking distance from residences will be removed,” she said. Yolanda Duarte, advisory chairperson for the Maravilla Community Center, said Metro 710 project spokespersons had gone to the eastside Center to give the community and businesses more information about the project. “On two occasions questions were asked if businesses or residences will be taken, the answer [by Metro] was no. [Now] The EIR states 15 businesses will be targeted” to make room for rail stations, she said, visibly frustrated. The businesses are on Mednik, south of the I-60/at Third Street: One home and a businesses on East Cesar Chavez could also be taken. People were able to review maps and other visual materials pertaining to the five alternatives and ask Metro engineers questions before the public hearing got under way. Metro planners explained that if the light rail is chosen, it would travel 7.5 miles, divided into 3 miles of aerial track and 4.5 miles submerged approximately 6-stories underground. The rail line would run from south of Valley Boulevard, with the first aerial station on Mednik Avenue adjacent to the East LA Civic Center Station, and two more aerial stations on Floral Drive and at Cal State LA. It would then go underground with stations in Alhambra, Huntington Drive, South Pasadena and to the Fillmore Station in Pasadena where it would connect with the Gold Line. Many eastside residents have long resented Metro opting to build the Eastside Gold Line above ground while approving preferred but costlier underground subway options for other communities. Several people said the eastside is once again getting the short end of the stick, complaining that the proposed rail line would run above ground through East LA, but then go underground through the more affluent communities north of Cal State LA. “Why don’t we get a tunnel” like they do in Pasadena, one speaker demanded to know. 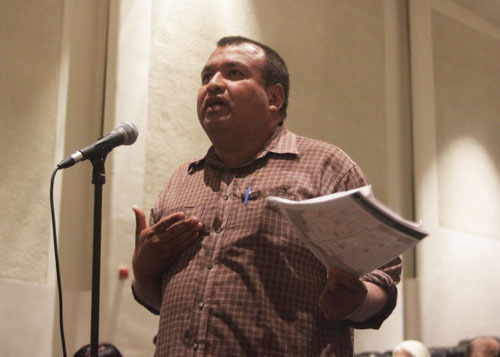 “Take out this project, do not even consider it,” said Gilbert Hernandez. How to fill the 4.5-mile gap between the 710’s terminus in Alhambra and the Foothill (210) Freeway in Pasadena is a debate that has raged on for more than six decades. If a route is eventually selected, a revenue source to cover the hundreds of millions, perhaps billions of dollars needed to build it would still have to be found. The project could take three to five years to complete if the light rail is chosen. L.A. County Supervisor Hilda Solis represents East Los Angeles and other areas impacted by the SR-710. She told EGP via email it is imperative to reduce congestion, improve air quality and enhance mobility for all residents, however, she does not yet see “any option as a natural choice” due to the many pros and cons. “For example, the light rail alternative threatens the highest number of businesses and homes while the tunnel options could become a bottomless money pit. A combination of alternatives may end up being the way to get the most for our money,” she stated, adding that her staff is studying the various options and will hold community input meetings in addition to those scheduled by Metro. “The communities I represent deserve a solution that absolutely improves their quality of life and environment … while improving mobility and using transportation to foster economic growth,” she said. —Wednesday, May 6 at La Cañada High School auditorium, with a map viewing from 5-6 p.m. and public hearing at 6 p.m.
—Thursday, May 7 at the Los Angeles Christian Presbyterian Church, map viewing 5-6 p.m. and public hearing at 6 p.m. The full study is available at http://www.dot.ca.gov/dist07/resources/envdocs/docs/710study/draft_eir-eis and can be viewed at the Caltrans District Office, 100 S. Main St., Los Angeles, CA 90012 and public libraries listed here: http://www.metro.net/projects/sr- 710-conversations. Comments will be accepted by mail through July 6: Mail to Garret Damrath, Caltrans Division 7, Division of Environmental Planning, 100 South Main Street MS-16, Los Angeles CA 90012. To read more about the SR-710, go to www.EGPNews.com.